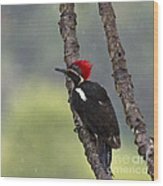 There are no comments for Woodpecker 4. Click here to post the first comment. 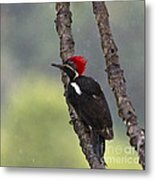 The Lineated Woodpecker (Dryocopus lineatus) is a very large woodpecker which is a resident breeding bird from Mexico south to northern Argentina and on Trinidad. Adults are mainly black above, with a red crest and whitish lines from the base of the bill, down the neck and shoulders (though individuals from the south-eastern part of its range commonly lack the line on the shoulders). The underparts are whitish, heavily barred with black. They show white on the wings in flight. 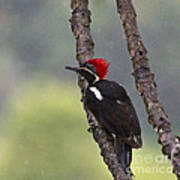 Adult males have a red line from the bill to the throat (malar) and a red forehead. In adult females, these plumage features are black. 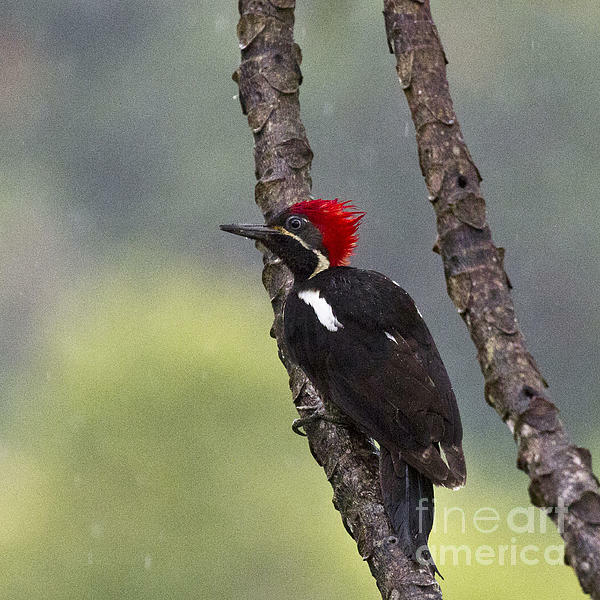 The bill is typically black in both sexes, though pale-billed individuals regularly are seen.